While Tropic Thunder may have been one of the best satires of the Hollywood system and funniest comedies of the past few years, one thing that every person who saw the film couldn’t help but love was the collection of fake movie trailers preempting the film. Ben Stiller, director of Thunder and the brains behind most of the trailers as well as the classic Heat Vision & Jack pilot, has decided that there’s more than enough interest from fans to support doing more parody trailers that will stand on their own. Here’s the full deal from Deadline. The new project, essentially a series of at least 12 short trailer parodies, will be distributed online via a partner to be named shortly. The plan is to bring together top actors and filmmakers across all genres to take part. I’m now told that they’ll come one per week, starting in the late fall or winter. Stiller will produce with Stuart Cornfeld and Mike Rosenstein through Red Hour Digital, with longtime Red Hour collaborator Robert Cohen exec producing and directing some of the shorts. Among the actors and directors who’ll contribute content are Stiller’s Tropic Thunder co-writer Justin Theroux, Night at the Museum scribes Tom Lennon & Ben Garant, and Clueless helmer Amy Heckerling. Expect to see more directors show interest in this project, as Robert Rodriguez and his band of genre and horror friends have been attempting the same thing after Grindhouse was such a cult success. Portland, OR based Oni Press is probably most well know for it Scott Pilgrim Versus the World comic series and feature film. They also have many more projects in what Hollywood likes to call “various stages of development” so that means they need a bit of help getting those set up. Enter the William Morris Agency which has just signed Oni Press for (here’s another Hollywood term for you) “Representation in all areas.” What does that mean? Well, it means the agency will work with Oni and its sister company Closed on Mondays Entertainment to develop more Oni properties into film and television shows. At the moment, those projects include feature film adaptations The Last Call with producer Barry Josephson, The Leading Man with producer Marc Platt, Frenemy of the State with Imagine Entertainment, The Return of King Doug starring Ben Stiller and produced by Red Hour Films and Ciudad with Joe and Anthony Russo writing and directing. Closed on Mondays also has what’s called a “first-look deal” with CBS TV Studios to adapt Oni properties for the small screen. That means Oni takes its stuff to CBS first and if CBS decides to make it, great. If not, they can take it somewhere else. In exchange for that right, CBS pays Oni some sort of fee and more if the projhect actually goes into development, is made or ends up on the air. As someone who’s spent some time with the guys and gals at Oni, I’m always happy when I hear they are doing well. They have some great comics and it would be nice to see more of them brought to the small or big screen. 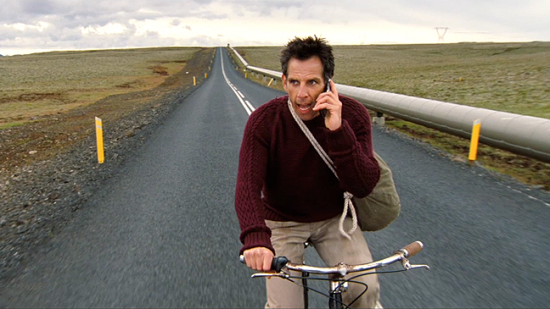 Say what you want about Ben Stiller or his talent, the man still manages to turn out some pretty entertaining and often successful films. Sure, his brand of humor may not be for everyone or his choice of films might not seem all that inspired, but he still keeps going and still often brings the funny. This time around Still is back with another chapter in the “Fockers” family comedy series. This new one, called Little Fockers, takes the story of Greg the male nurse (Stiller) and his obsessive father-in-law Jack (Robert De Niro) to the next level: children. Of course, once that happens hilarity and the associated sight gags, misunderstandings and people getting hit in the eye with something ensues. When Greg and Pam’s entire clan-including Pam’s lovelorn ex, Kevin (Owen Wilson)-descends for the twins’ birthday party, Greg must prove to the skeptical Jack that he’s fully capable as the man of the house. Check out all the hijinks in this new trailer after the jump, courtesy of our pals at Yahoo. Look for Little Fockers to invade a theater near you on December 22.